What Can Freelancers Deduct From Taxes? Working as a freelancer gives you the freedom to set your own hours and choose the type of work you do, but self-employment often involves paying a variety of expenses that traditional employees don't have to pay. For instance, freelancers need to provide themselves with the tools, equipment and office space necessary to do their work. Freelancers are technically small business owners in the eyes of the Internal Revenue Service, so contractors are eligible for a variety of business-related tax deductions. Many freelancers work out of their own homes, since it saves on the cost of renting an office and commuting. The costs related to operating a home office are tax-deductible business expenses. Common home-office expenses include utilities, repairs, maintenance, Internet access, office supplies and office furniture. 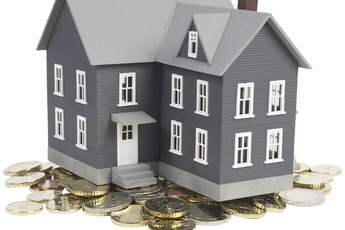 If an expense is shared between the home office and the rest of the home, the tax deduction is limited to the size of the office relative to the size of the home. For example, if a home office accounts for 20 percent of a home's total area, you can deduct 20 percent of general home operating costs like the cost of utilities. The cost of operating a vehicle for business purposes is a tax-deductible expense for freelancers and other business owners. You can only deduct the portion of vehicle use that is directly related to carrying on a trade, such as visiting clients, attending conferences and driving to work sites away from your main office. The cost of commuting to your main office is not deductible. You can choose to deduct your actual vehicle expenses or take a deduction based on the total number of miles driven for business purposes. 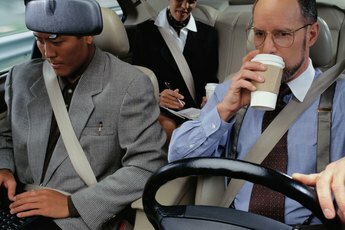 The IRS says that you can deduct 55.5 cents per mile for business vehicle use in 2012. Freelancers often join professional societies and organizations to stay updated on the latest industry trends and take advantage of networking opportunities. The costs of professional membership dues are tax-deductible, as are regulatory fees necessary to carry on a trade. For example, the cost of obtaining a license required by a state or local government to engage in a certain type of work is tax-deductible. Freelancers don't have employers to withhold money from pay to cover tax obligations. Instead, freelancers have to send tax payments to the IRS on a quarterly basis that include income taxes and self-employment taxes. Self-employment taxes help fund Social Security and Medicare. Self-employed workers can deduct half of their self-employment taxes on their income tax returns. The Social Security Administration says that the self-employment tax rate is 13.3 percent on income up to $110,100 in 2012 and 2.9 percent on income in excess of $110,100. What Can I Claim on My Taxes if I Have a Second Job Besides My Home Business? What Can Fine Dining Servers Write Off on Their Taxes? Can I Deduct Work Expenses on My Tax Return Without Itemizing? Can You Claim Mileage on Your Tax Return if Your Job Pays for Mileage? Where Do I File My Unemployment Expenses on Schedule A? Can I Claim Public Transportation on My Tax Return?